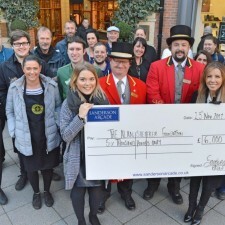 Sanderson Arcade in Morpeth was opened in November 2009 by Joanna Lumley OBE. The development has transformed the former run down shoppping centre in the heart of the beautiful market town of Morpeth. 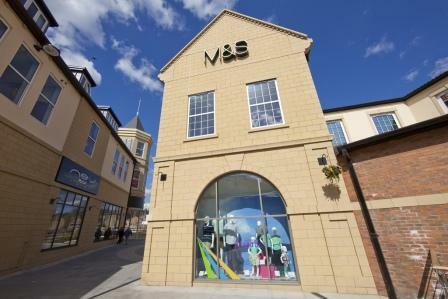 The development has delivered 90,000 sq ft of new retail space in Morpeth attracting tenants including Marks and Spencer, New Look, Laura Ashley, Fat Face and Crew Clothing as well as a great line up of independent North East companies. First floor office space is also available at the Arcade and a new fitness centre has also opened. 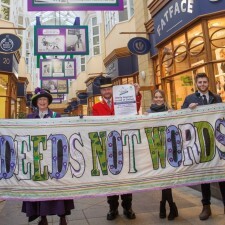 High quality architecture has been key to the success of the Arcade and the centre's smartly dressed Beadles are a popular feature in keeping with the Edwardian style gallery. As well as the new retail and office space the Arcade has also delivered a town centre car park extension and a new bus interchange.